Hockey India on Tuesday, 3 November, announced an 18-member squad for the 8th Junior Men's Asia Cup to be held in Kuantan, Malaysia from November 14. The Junior Men's Asia Cup is the largest Asian Tournament for Junior Men and will feature the top eight countries from the continent. 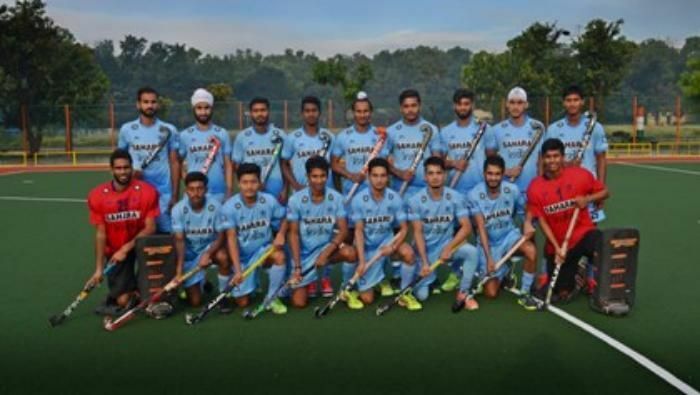 The 18 member Junior India squad which has been announced in the midst of the ongoing national camp at the SAI centre in Bengaluru will be led by the talented Harjeet Singh, who also was adjudged the Player of the Tournament in the recently concluded 5th Sultan of Johor Cup in Malaysia. The Indian goal posts will be guarded by Suraj Karkera and Vikas Dahiya. The defensive wall of Dipsan Tirkey, Varun Kumar, Anand Lakra, Vikramjit Singh and Harmanpreet Singh will be adding that extra layer of security for the Indian goalkeepers. The Midfield will see Captain Harjeet Singh alongside Nilakanta Sharma, Santa Singh, Manpreet and Manpreet Singh Mangalsingh Chahal. Mandeep Singh, Sumit Kumar, Arman Qureshi, Gurjant Singh, Mohd Umar and Ajit Kumar Pandey will be the forwards for India in the upcoming tournament. India will play their opening match against Japan in Pool A on November 14.